Review Summary: Call it a coincidence most Hindi films focus on haunted homes when it comes to the horror genre. A FLAT is no different. Call it a coincidence most Hindi films focus on haunted homes when it comes to the horror genre. A FLAT is no different. Call it a coincidence, most Hindi films focus on haunted homes when it comes to the horror genre. 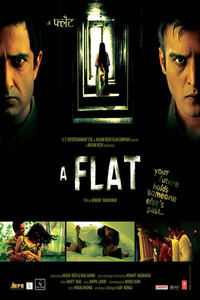 A Flat is just a decent effort from the director who is failed by an average script.